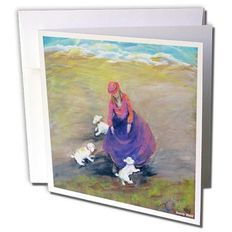 Awesome Goodies for the Poodle Lover! I think this one really rocks! In some 17+ years of owning poodles of my own, I have never seen one this nice. 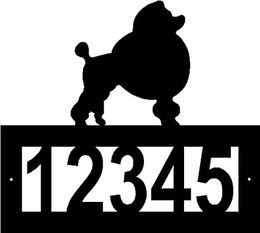 Must have for poodle lovers. Available in various colors - I'm going to place some links below - just click of the colors of interest, but also check on the sellers site for other colors - there are too many to list individually - you will find one to match your decor for sure! Fair Warning - this is a high demand item and has a bit of a waiting time, so order well in advance if you need it by a special date! 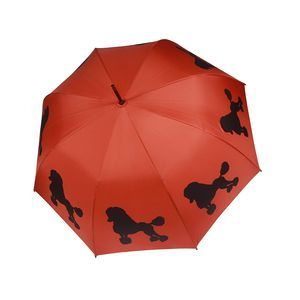 Awesome Poodle Umbrella - Big Too! Make a statement alright, poodle lover! Click on the photo to get more info! 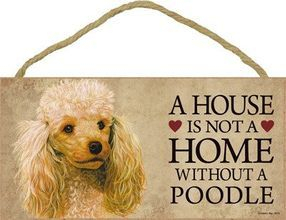 For the home owning poodle lover! Now that is a gift they will be remembering every day :o). Click on pic for details. Obviously you can't replace your actual street sign, but display it in your country side driveway? Or in your back yard? Absolutely and Totally HOT! This one is a bit difficult to see as it is photographed on a white background - but this is actually a glamour license plate [for the front of your car or your golf cart]. 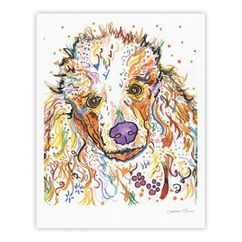 Thank you for supporting our website by using our Amazon Portals to explore our Poodle Lover Gift Shopping Ideas. Subscribe to New Puppy Updates. I've Got more Gift Ideas for you!